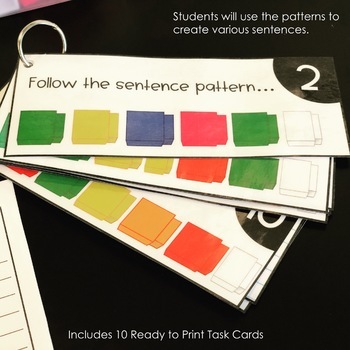 These interactive Sentence Construction Task Cards are a game changer for literacy centers or general practice. This product allows students to practice building sentences using the parts of speech including nouns, verbs, adjectives, adverbs, conjunctions, and so many more. There are 10 ready to print cards and 20 editable cards for you to fully customize your task cards. each part of speech on a different color, cut apart, and allow students to build sentences. 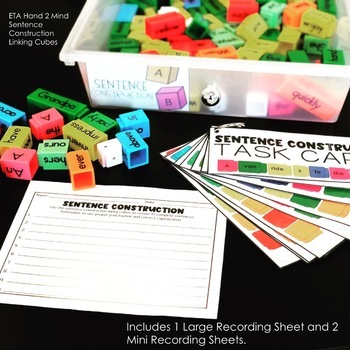 The Sentence Construction Task Cards are made to use with the ETA Hand 2 Mind Sentence Construction Linking Cubes. 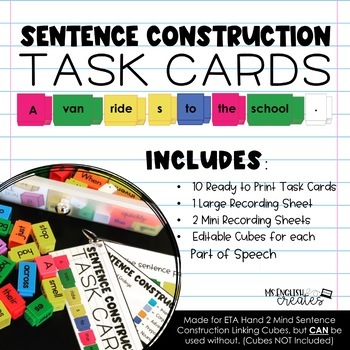 The set includes a printable for students to write their constructed sentences on. Check out my TPT Store for more fun and engaging products!